The Indie Spirits Tasting is coming back to Sydney, after some successful stops in Brisbane and Perth earlier this year. Taking place on Sunday the 16th of September, the Indie Spirits Tasting Sydney is back for its fourth year and will again be hosted at the stunning Restaurant Hubert. The event, which is now staged in both Perth and Brisbane as well, will feature over 40 exhibitors showcasing more than 150 craft spirits, with master distillers on hand and free seminars going deep into the world of independent spirits. Tickets are just $55 (plus booking fee) or $35 if you get in early — it’s a great way to spend a Sunday afternoon. Ticket to the Indie Tasting include all the samples, a burger and fries and access to the seminars (first-in, best dressed). Click here to get your early-bird tickets now. There’s also three free to attend spirited talks taking place on the day — check out the topics below. There’s hundreds of gins available today, so how do you choose the right gin for your next drink? Drink gin like a pro with advice from our panel of experts. Have you ever thought of making your own spirits? Join our experts who have done just that and hear their advice for building your own spirits start up. When it comes to rum, there’s one guy who is pretty much the global authority on the sugar cane stuff: Ian Burrell. He’s recognised as the global rum ambassador, and has championed the good stuff for as long as we can remember. Burrell recently won the title of International Brand Ambassador of the Year award at Tales of the Cocktail’s Spirited Awards, and is one the globe’s great rum educators (he’s also the guy who started the UK RumFest). You don’t want to miss this intimate, guided tour of the world of rum with one of the world’s best. 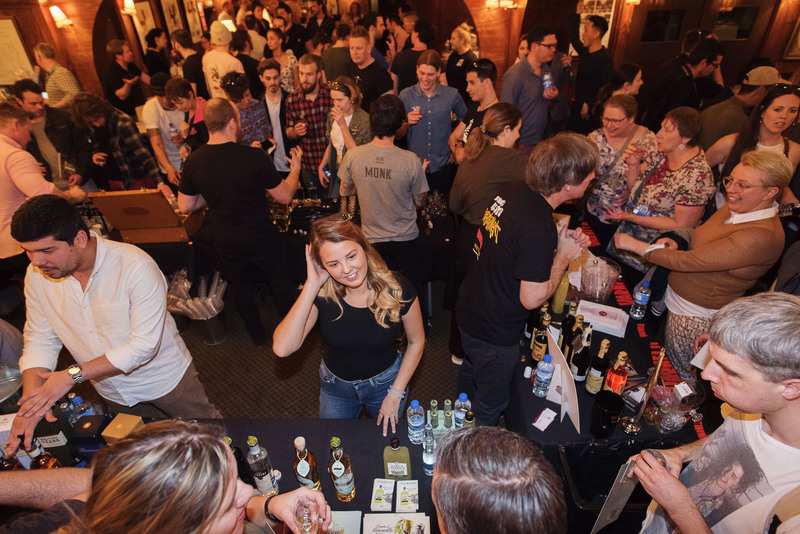 If you’ve got a brand you’d like to get involved at Indie Spirits Tasting Sydney, get in touch with David Spanton today before space is gone — email him on david@spantonmedia.com.